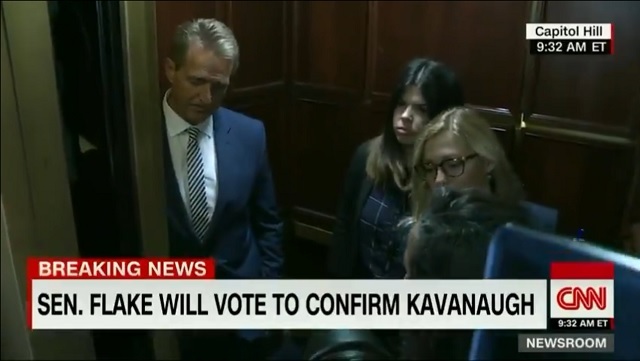 A group of feminist activists were filmed having public meltdowns Friday morning on Capitol Hill after Senator Jeff Flake announced he was voting to confirm Judge Kavanaugh. 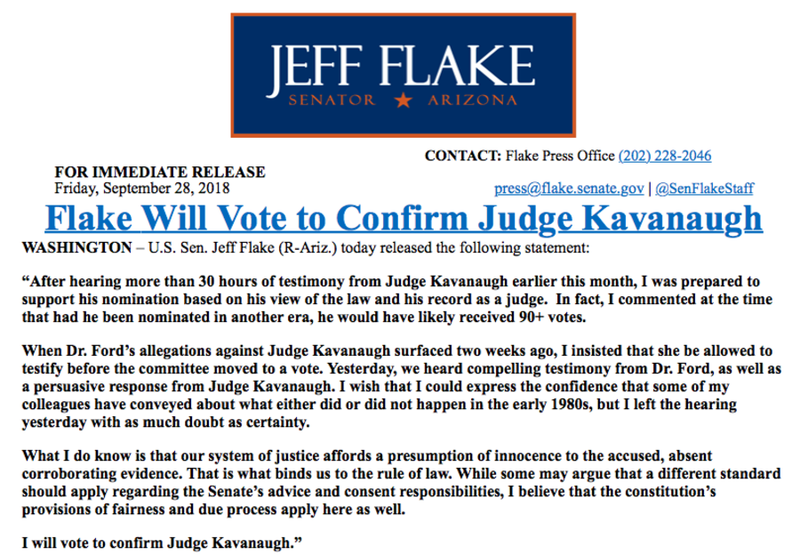 "What you are doing is allowing someone who actually violating a woman to sit on the Supreme Court," a feminist who could barely speak English screamed at Flake while blocking him from using the elevator. "This is not tolerable!" "You're telling all women that they don't matter, that they should just stay quiet because if they tell you what happened to them you are going to ignore them," another feminist shouted. "That's what you're telling me when you vote for him. Don't look away from me." These people can yell all they want to. Doesn't matter. I believe Judge Kavanaugh and thought what they did to Judge Kavanaugh was despicable.